Each year, Southern Corporate Packers has expanded their watermelon operations. Currently including The United States, Canada, and Mexico, Southern Corporate Packers provides watermelons year round, by farming over 10,000 acres annually. Southern Corporate Packers shipping facilities can customize to every individual customers’ needs: 35ct, 45ct, 60ct, and 80ct. Yum Yum brand watermelons are on the cusp of food safety technology. The watermelons are USDA inspected and packaged in a Primus certified facility, virtually eliminating the risk of any contamination. 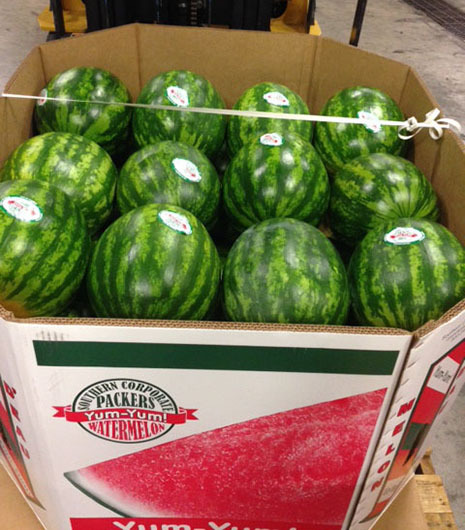 In addition, Southern Corporate Packers incorporates a global tracking network, where each watermelon is stickered and bar coded. This allows the watermelons to be traced from the country, state, county, grower, and field of origin. 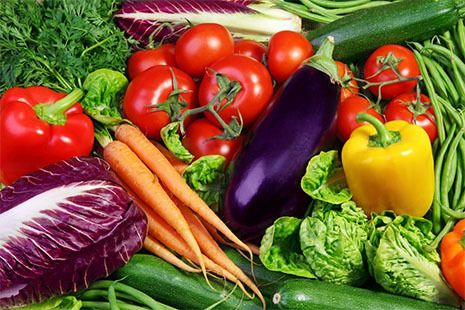 In addition to watermelons, Southern Corporate Packers offers a plethora of vegetable products to our customers, including: broccoli, corn, cucumbers, eggplant, peppers, squash, tomatoes, and more. Each of these commodities is available, throughout each of their growing seasons, annually. Southern Corporate Packers utilizes it’s vast growing regions to ensure the best available vegetables, for each of our customers needs.